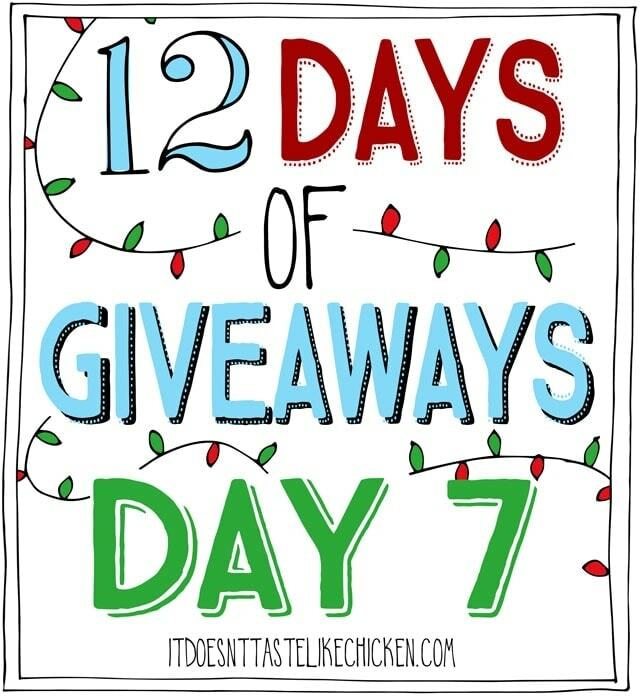 On the 7th day of giveaway my true love (Sam) gave to me, a box of Moo-Free Chocolates!!!!!! Some dark chocolate is accidentally or on purpose vegan, but what if you like milk chocolate? Moo Free has got you covered! 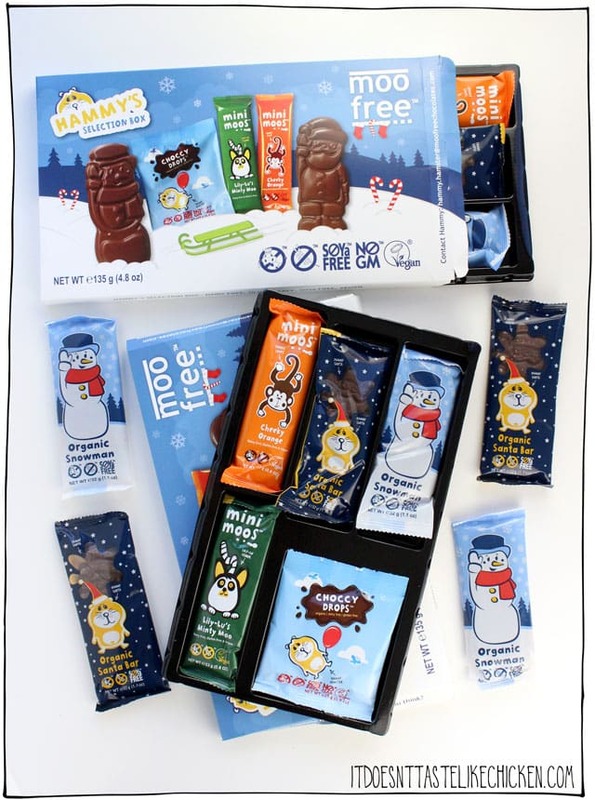 Moo Free chocolate is organic, ethically sourced, gluten-free, and vegan and it has that wonderful milk chocolate taste all with cute little characters on the package. Miss eating chocolate Santas? This is exactly what you have been looking for! Perfect for stocking stuffers or a little treat… or hey, eat it all at once, I don’t judge. 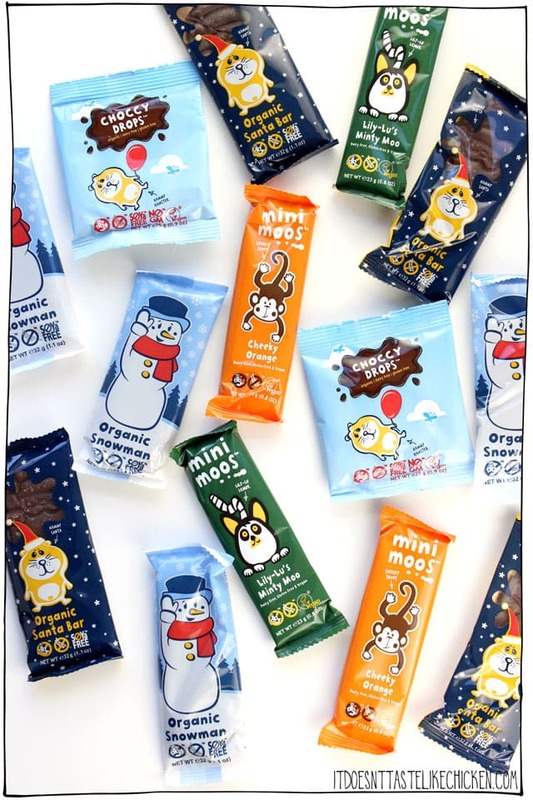 My favourite is the mini moos Lily-Lu’s Minty Moo. Say that three times fast. This contest is open to US, Canadian, and UK residents! Previous Post: « Field Roast Cookbook Giveaway! I like this giveaway. What a fun idea for the holidays. As someone who has a milk allergy, I’m really happy that at least one company has started releasing Christmas chocolate that’s safe for me. How and when are you planning to notify the winner? Thank you. I somehow missed that post.